Manipulation or exercise for treating patients with chronic low back pain? An article review. Long before beginning my studies as a physical therapy student, I was acutely aware of how much a problem back pain could be. Whether it be watching or my father throw out his back lifting firewood, or causing my own back issues with just a little too violent a golf swing, back pain is nothing new to me. In fact, it seems that just about everyone, myself included, have dealt with back pain at one point or another, and yet despite the longevity of the issue, no one treatment has immerged as the winner. I know from personal experiences and from the coursework at Elon University that low back pain is one of the most frequent problems I will see as a physical therapist, and can be treated in a few different ways. Whether it be hands on manual techniques or a targeted exercise approach, I have observed and had the opportunity to apply different interventions to patients with low back pain; but which one is best? Well, I decided to look to the literature for some insight on the matter. The following is my review of an article looking at the effectiveness of different interventions on chronic low back pain. So is back pain really that important? 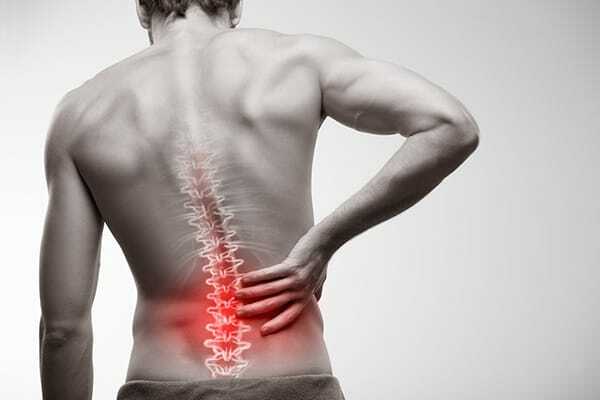 Back pain, and specifically low back pain, is one of the most common problems dealt with in the physical therapy world. Chronic low back pain can impact job productivity, ability to perform everyday physical tasks, and overall quality of life. The ability to safely and effectively treat low back pain is invaluable if for no other reasons that the frequency of the problem and the effect that it can have on people’s lives. What did these researchers study? The researchers in this article examined the effectiveness of a few of the most common types of treatment for chronic low back pain. They gathered 301 study participants all dealing with chronic low back pain and split them into 3 groups: Supervised exercise, spinal manipulation, and home exercise. The researchers took measurements of the participant’s pain, disability, satisfaction, general health status, medication use, and muscle strength and endurance to use as indicators or whether or not the treatments were successful. These measurements were taken at the beginning of the study and again at 4, 12, 26, and 52 weeks. To begin, patients in all 3 groups showed improvement which is definitely a nice bonus for the participants of the study. In regards to the patient satisfaction and muscle strength and endurance, the supervised exercise group displayed significantly more improvement than the other two groups. The short- and long-term differences seemed to favor the supervised exercise group when looking at measurements of pain, disability, general health status, and medication use, but the differences were relatively small and not statistically significant. This study suggests that patients suffering from chronic low back pain can receive benefit from supervised exercise, spinal manipulation, or home exercise, but there may be a slightly greater benefit from use of supervised exercise in regards to the patient’s muscle strength and endurance and their overall satisfaction with the treatment. I believe that the authors did a good job in selecting appropriate interventions that could be seen in clinics for people receiving treatment for low back pain. The study was well designed in that it blinded the researchers who were administering the outcome measures as to which group the subject was in. The study included a larger number of subjects, and the fact that the researchers used both qualitative and quantitative measurements in gathering data also helped provide some balance to the results and potentially removed some bias. One limitation of the study was the high number of therapists and health professionals used to administer the interventions. With so many different therapists supervising exercise, or chiropractors performing manipulations, I could see the potential for a lack of consistency in controlling the interventions. I would enjoy seeing a follow up to this study where researchers look at the differences between supervised exercise and manipulations compared to manipulations or exercise alone. While it is nice to see the effects of each intervention individually, it would be nice to see if there is additional benefit if the two interventions are used in conjunction with each other. After reading this What would I do? Like snowflakes, every person’s back pain is special and unique, and may respond differently to varying treatments. Will I use supervised exercises to treat future patients? In all likelihood, yes. That does not preclude me from utilizing other treatment option in attempting to provide the best outcome for my patient, however, and seeing as this article showed improvement in all 3 groups, I would not hesitate to employ any one of these techniques in treating chronic low back pain. Bronfort G, Maiers MJ, Evans RL, Schulz CA, Bracha Y, Svendsen KH, Grimm RH Jr, Owens EF Jr, Garvey TA, Transfeldt EE. Supervised exercise, spinal manipulation, and home exercise for chronic low back pain: a randomized clinical trial. Spine J. 2011 Jul;11(7):585-98. One Comment on Manipulation or exercise for treating patients with chronic low back pain? An article review. I was recently discussing this topic with a family friend who is suffering from lower back pain and timidly considering physical therapy for it. I think your article will encourage him to go for it.